The body shell is a fairly complex assortment of large steel sections. These sections have been stamped into specific shapes that make up the body of your car. These parts are designed to do many jobs at once; protect the occupants from the elements and in collisions, provide solid mounts for all other systems, and to slice through the air with minimal resistance. The body also has one other job which is usually important to the owner... it has to look good! 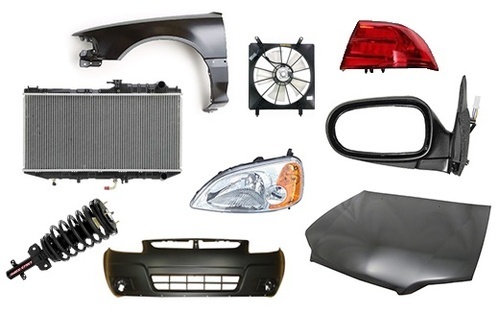 Although the zillions of parts that make up a car are all very important, it is also important that the car's body be able to make riding in a car bearable for you. The body and the suspension system give us a smooth ride, and cushion us from the jarring of the road. Improvements in the body of the car are carried out so that it should go forward with as little up-and-down and side-to-side movement as possible.